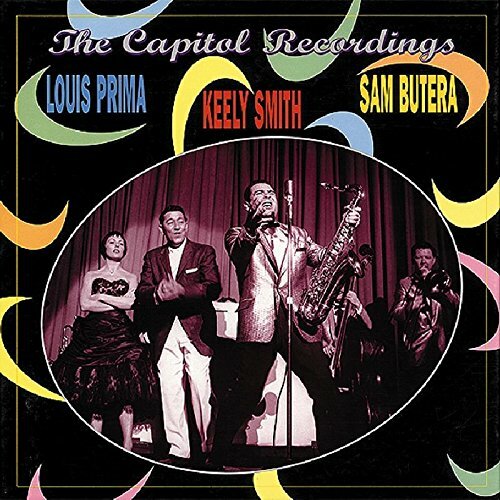 Prima had been a jazz trumpeter in the '30s and '40s, and by the time he signed with Capitol in 1956 he led a hot combo with Sam Butera and ultra-cool Keely Smith. His music took its key from Louis Prima's own exuberance. It wasn't quite R&B, pop, or jazz, but it was, as Louis himself promised, 'The Wildest!' This set includes all his 1956-1962 Capitol recordings, as well as Keely's solo records. If you have any questions about this product by Prima, Louis, contact us by completing and submitting the form below. If you are looking for a specif part number, please include it with your message.